“Look at all these fish!” says wildlife officer David Karl. My eyes adjust to the dappled sunlight as I bend toward the water. Shadows and leaves float in the stream, and beneath them tiny Chinook salmon undulate in the current, safe in a side channel that Karl calls a nursery. The darting, hatch-sided fry are welcome evidence that salmon habitat restoration efforts are beginning to pay off in the Pacific Northwest. It is especially encouraging in the Tucannon River, one of the last breeding grounds for southeast Washington’s wild steelhead and spring Chinook salmon. After ten years of intensive stream channel reconstruction, the river has emerged as a role model for the recovery of fish populations in the Columbia River Basin watershed and beyond. Washington State University associate professor Alex Fremier and former graduate student Joe Parzych ’15 MS are leading a study to document environmental improvements from the use of manmade logjams in the Tucannon. Anecdotal evidence suggests the logjams have successfully slowed the river’s currents, creating deeper, cooler flows enriched with the oxygen vital for fish survival. I join members of the Washington Department of Fish and Wildlife (WDFW) and the Snake River Salmon Recovery Board as they pull on waders and prepare to validate these reports. While the pristine waters of the Pacific Northwest historically teemed with salmon and trout species, the numbers dwindled as habitat was lost to beaver trapping, logging, and dam construction. Riparian trees were cut to make way for agriculture, and well-intentioned wildlife managers removed deadwood from stream channels. The untamed tangle of nature slowly gave way to a more domesticated tableau. But nature prefers the chaos. The human penchant for orderly landscapes produced “compliant river channels,” where meandering streams became swift, straight currents clouded with sediment, says Parzych. To the detriment of the fish, the altered streams also grew warm, shallow, and muddy. Juvenile salmon, with no escape, were washed downstream while eggs suffocated in the silt. Fremier says almost all native trout and salmon species in Washington have experienced a steep decline over the last century. In the Tucannon, Chinook salmon, steelhead, and bull trout are all listed as threatened under the Endangered Species Act. On the hillside above the river, blackened spires stand as reminders of the 2005 School Fire, which ravaged the watershed and destroyed forests that had protected the stream banks and floodplains. It was the fire that finally opened the door to fish restoration efforts on the river. “We’ve taken wood out of the rivers for 100 years and now we’re putting it back in,” says Fremier. Repurposing the timber, the WDFW began an intensive, collaborative effort to rebuild the Tucannon. Fire-damaged trees were flown in by helicopter and arranged like pick-up sticks in the water. To my eyes, the scene is a jumbled mess and difficult to navigate on foot, but it is pure paradise to Chinook salmon. Technically called “large pieces of wood,” the logs create eddies and side channels where fish can safely hide and feed. In the river, Parzych demonstrates the use of a device called a piezometer, first pounding a stake into the streambed and then threading a long white PVC tube down into the hole. This simple apparatus is a tool for measuring water level as well as the interaction between stream water and groundwater, called hyporheic exchange. 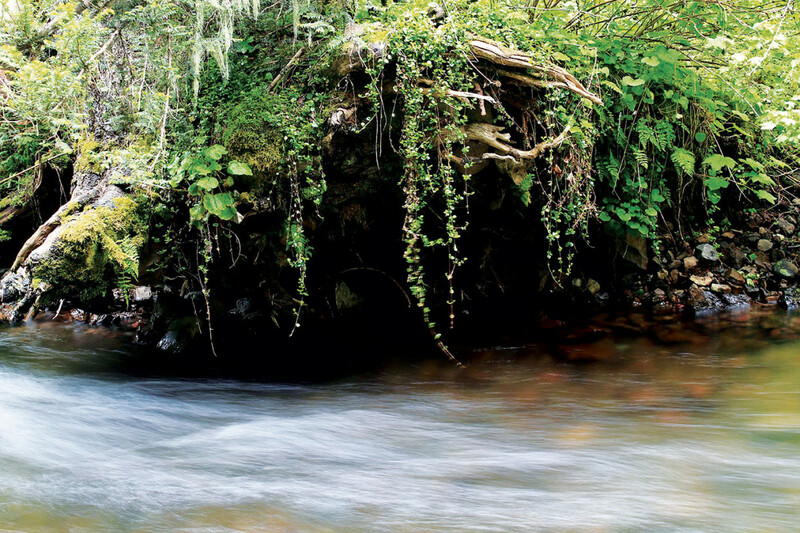 In the hyporheic zone, the two water sources constantly intermingle, regulating oxygen levels in the streambed gravel where salmon make their nests. Parzych’s research provides compelling evidence that the logjams are indeed making an impact. Where water levels were once uniform, the Tucannon is now a composite of deep pools and shallow reaches. The pressure differences lead to enhanced hyporheic exchange, he says. Steve Martin, director of the Snake River Salmon Recovery Board, says that over the last ten years, water temperatures in the Tucannon have dropped dramatically and water flows are nearly double. 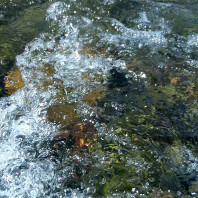 Stream sediments have decreased from 63 percent of the streambed to 9 percent. WDFW officer Karl wades over to an eddy behind a large tree trunk and points out two round steelhead nests along the bank. By all appearances, the restoration efforts have significantly boosted fish populations in the Tucannon, but Fremier says they’ll know for sure in a few years, when the young salmon return from the ocean as adults ready to spawn in the river’s cold, clean waters. 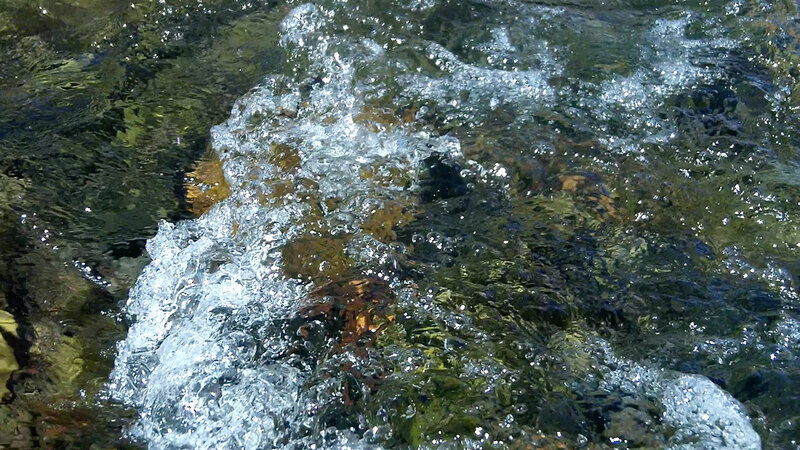 Salmon and other fish need cool, deep pools to spawn and survive in waterways like Washington’s Tucannon River. 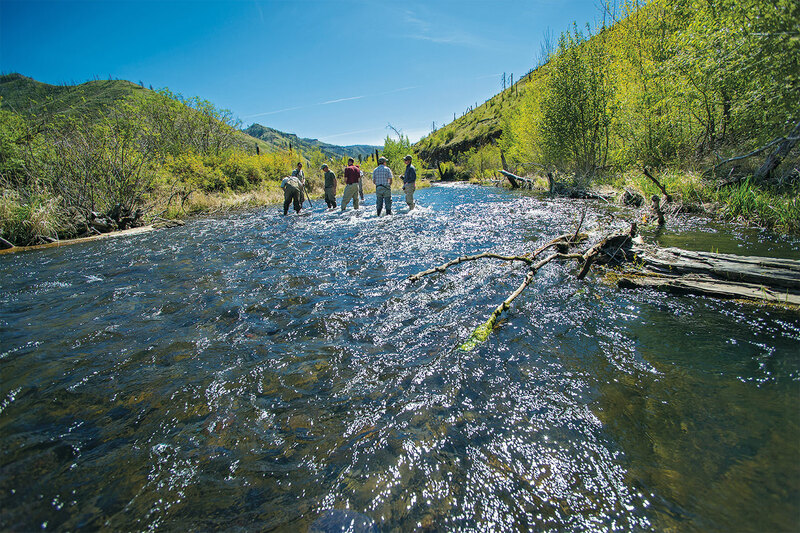 Washington State University researchers and their colleagues are measuring whether intentional logjams and stream reconstruction is creating better habitat for fish. Watch the video.